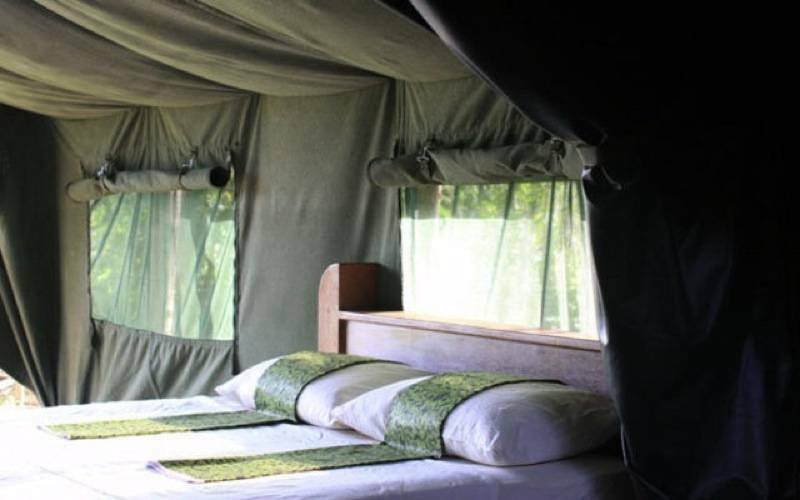 Udzungwa Forest Camp: offers 6 Forest en-suite tented rooms situated along or overlooking the forest boundary and providing a comfortable accommodation experience. 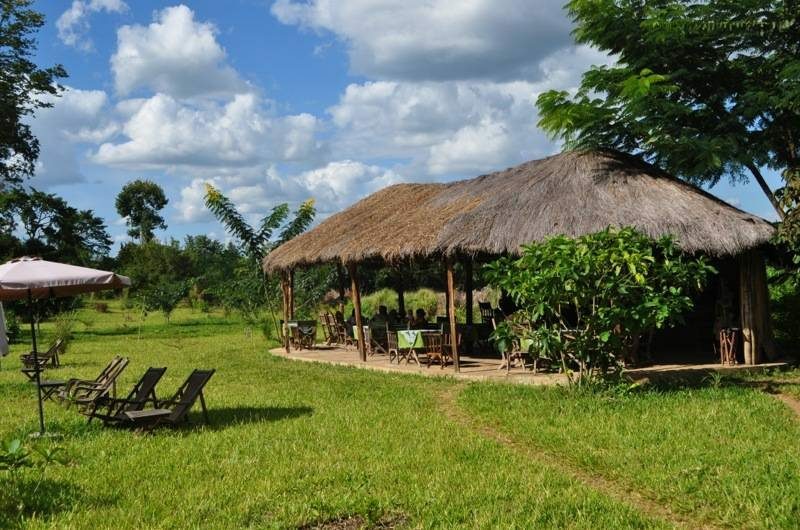 With these rooms offering good facilities and great forest views, you can be sure of getting a good night sleep and enjoying the relaxation of your stay in the surrounding shambaland and forest. 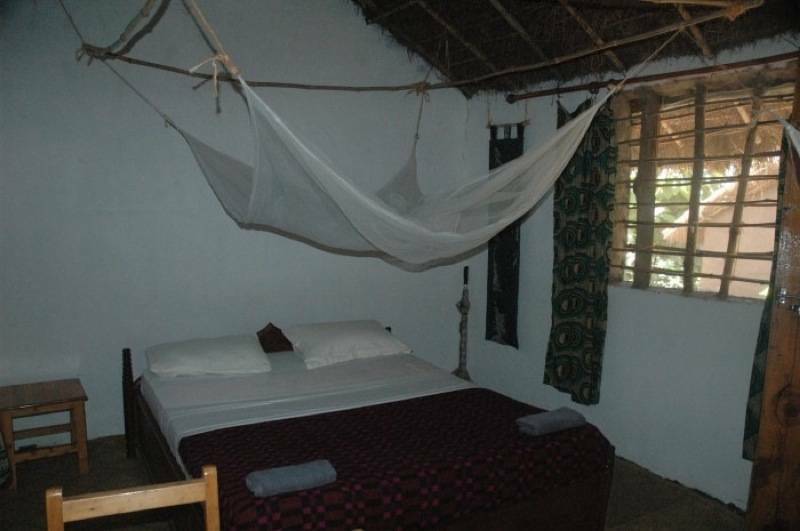 All beds boast comfortable spring mattresses and feather pillows, and the soft throws over the beds are made by the local Ifakara Women Weavers group, who are one of the lodge’s community support projects. The open-air bathrooms offer views up into the nearby forest canopy while you shower, and are equipped with western-style flush toilets. huge solar hot water “rain” showers, sink and shaver socket. 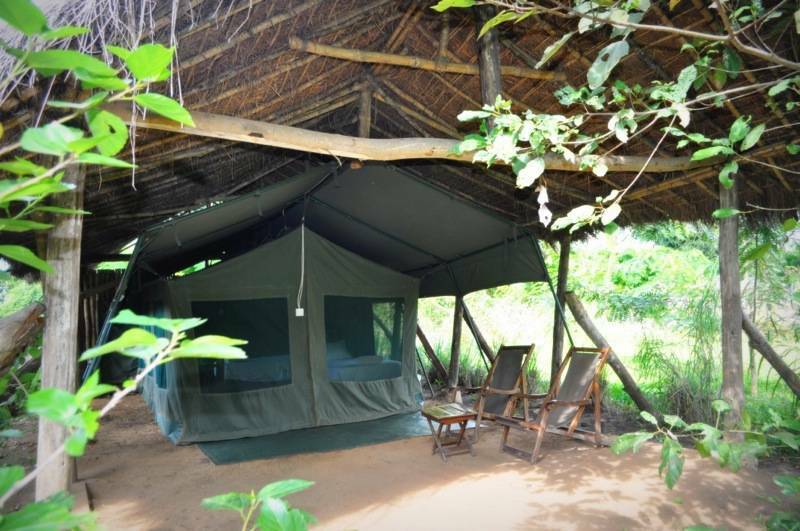 Udzungwa Forest Camp also offers 5 traditional thatched huts, providing a comfortable alternative to a camping tent. 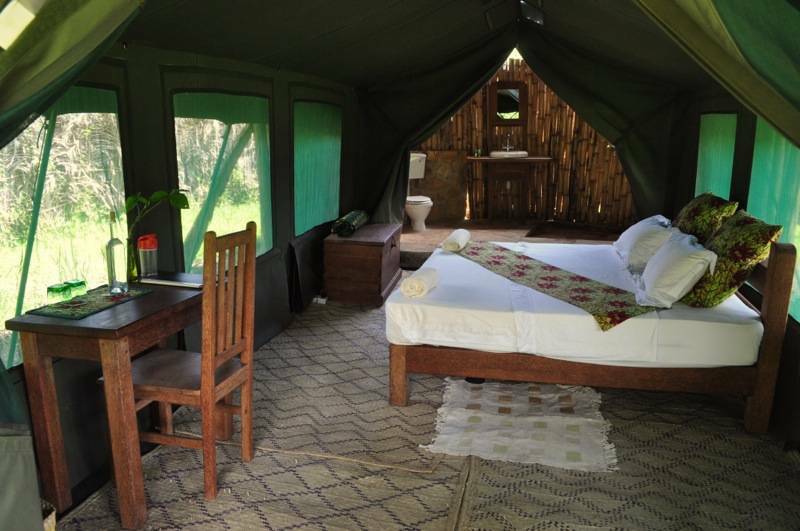 Homey and rustic, the huts are furnished with double and single beds and mosquito nets. This is a good budget accommodation option for those who are cash-conscious travelers and don’t have their own tent.